Novelist Stephanie Osborn has quite an impressive line-up for her appearances in 2013. She will be discussing her new releases : The Displaced Detective Series, Stolen Moments, and more! H David Blalock’s ANGELKILLER is FREE today, May 15, 2012, on Kindle! 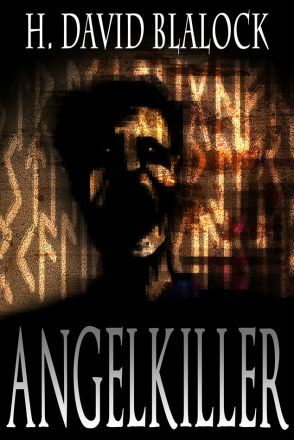 H David Blalock’s new release, ANGELKILLER, is FREE today on Kindle – so pick your copy up today! You do not have to have a Kindle to read the ebook, as Amazon also offers ‘Kindle for PC’ software to download, also free, allowing readers to select Kindle books to read on their personal computers. So there is no reason NOT to pick up a copy! Ever wonder why bad things happen to good people? What if the Angelic War was won by the ‘bad guys’ and the ‘good guys’ are still fighting? Better yet, what if cyberspace was part of their battleground? Be sure to pick up a copy of this wondrous mixture of angelic lore with the digital age! Author Stephanie Osborn wets your appetite with her newest release – The Fetish! Ever wondered what rocket scientists did after they left the field? Some of them become authors, like the lovely Stephanie Osborn. She has co-authored many books with Travis S. Taylor and Darrell Bain, but has a few novels she calls her own. The first was ‘Burnout: The Mystery of Space Shuttle STS-281’. Mrs. Osborn answers this question in the short ebook ‘The Fetish’. Since it is a short book, we cannot say much more about it lest we give it away. So make your way to Kindle and pick up your copy today! and will be available to purchase soon. Don’t know about the Rocket City Rednecks? “Meet the Rocket City Rednecks. They’re five “backwoods” guys from the rocket city: Huntsville, Alabama, home to NASA’s Marshall Space Flight Center and the birthplace of the U.S. space program. Sure, they love to shoot stuff and drink beer, and one of ’em lives in a trailer, but with a family tree full of NASA rocket scientists (not to mention their own PhDs and advanced degrees), they aim a little higher—like using homemade moonshine to fuel a rocket! Author Stephanie Osborn has done it again with the ‘Displaced Detective’ books! Are you a lover of the original Sherlock Holmes by Arthur Conan Doyle? Then you just might like the new series available from rocket-scientist turned author Stephanie Osborn. Entranced by the innovative detective work done in this Victorian fiction series, and not too impressed with the new steampunk version, Mrs. Osborn sought to, and succeeded in, bringing Sherlock Holmes to modern day. Using her scientific background, Mrs. Osborn proposed a feasible way in which Detective Holmes escaped, or rather was plucked from, his demise at the Falls. She ingeniously does not interrupt any of the original series, and instead brings the beloved character to present day and follows him as he adjusts to modern technology and well as modern culture. ‘The Displaced Detective’ Series is a science fiction mystery in which the brilliant hyperspatial physicist, Dr. Skye Chadwick, discovers that there are alternate realities, and said alternates are often populated by those we consider only literary characters. Her pet research, Project: Tesseract, hidden deep under Schriever AFB, is her means of looking in on these continua. In one particular reality, continuum 114, a certain Victorian detective (who, in fact, exists in several continua) was to have died along with his arch-nemesis at the Reichenbach Falls. Knee-jerking, Skye intervenes, rescuing her hero, who inadvertently flies through the tesseract wormhole connecting his universe with ours, while his enemy plunges to his death. Unable to send Holmes back without causing devastating continuum collapse due to non-uniqueness, he must stay in our world and learn to adapt to the 21st century. Meanwhile, the Schriever AFB Dept of Security discovers a spy ring working to dig out the details of – and possibly sabotage – Project: Tesseract. Can Chadwick help Holmes come up to speed in modern investigative techniques in time to stop the spies? Will Holmes be able to thrive in our modern world? Is Chadwick now Holmes’ new “Watson” – or more? Having already aborted one attempt to sabotage Project: Tesseract by an unknown spy ring, Sherlock Holmes — now up to speed in his new life, in a new century, and a new spacetime continuum — and Dr. Skye Chadwick — world-class hyperspatial physicist as well as Holmes’ liaison and new “Watson” — face the next challenge. How do they find and arrest the members of this diabolical spy ring when they do not even know what the ring is trying to accomplish? And how can they do it when Skye is recovering from no less than two nigh-fatal wounds? Further complicating matters is their relationship itself. For the ups and downs in the relationship between Holmes and Chadwick are due to something more than the occasional clash of demanding, eccentric personalities. Chadwick has already long since acknowledged to herself that she has fallen in love with Holmes. Knowing his predilection for eschewing matters of the heart, however, she struggles to hide it, in order to maintain the friendship they DO have, preferring said friendship to total alienation. Holmes also feels attraction — but fights it tooth and nail, refusing to admit to the fact, even to himself. After all, it is not merely Skye’s work that the spies may be after — but her life as well. Having already lost Watson to the vagaries of spacetime, could he endure losing another companion? In 1980, RAF Bentwaters and Woodbridge were plagued by UFO sightings that were never solved. Now a resident of Suffolk has died of fright during a new UFO encounter. On holiday in London, Sherlock Holmes and Skye Chadwick-Holmes are called upon by Her Majesty’s Secret Service to investigate the death. More interested in how Stephanie Osborn did research for her writings? Then you might want to check out Sarah A. Hoyt’s blog when she talked with Mrs. Osborn about how she approached the series. All of these are a recommended read for Holmes followers everywhere!